The temperature is starting to drop here in NYC which means Fall is FINALLY on its way. 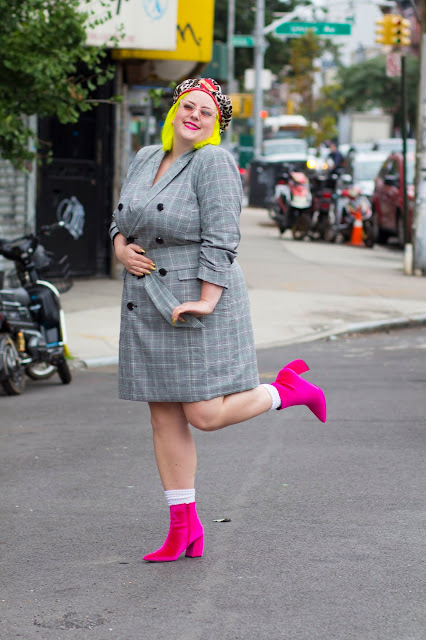 NYFW came and went and I have been taking over the street style game with fun fall prints and bold pop of colors (be sure to check out all my fashion week lewks on my INSTA). I loved this Eloquii blaze dress because it not only fits great but lets me rock a nice fall plaid which is all the rage right now. I wanted to style it with an unexpected twist so paired with a bold pink bootie and wild leopard print beret. Tip: I have been loving a good slouch sock lately! wear with sneakers or booties for some added texture. 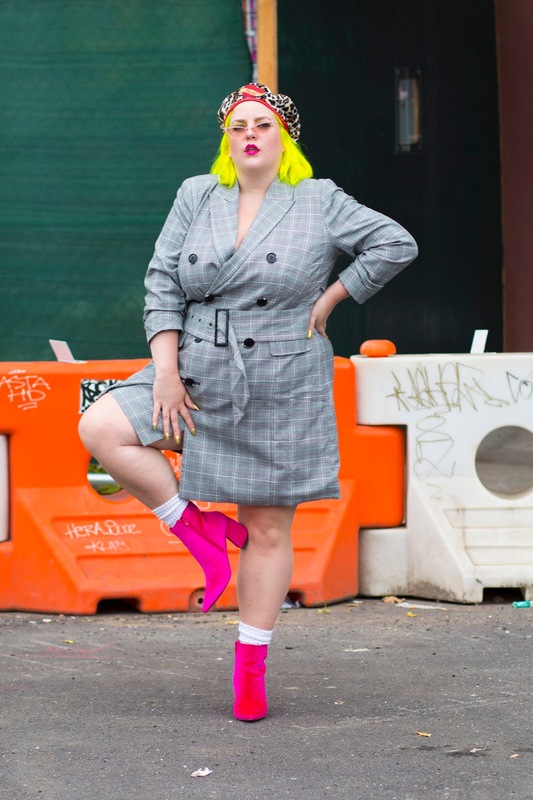 This dress doubles as fab over coat worn open with a bralette and cycling shorts. Click through to shop some of my favorites of the moment from Eloquii!